Click the Options icon from the Home screen to open the Options menu. Click Status to open the Status screen. Check the signal field in the Status screen. The value should be less than 100dBM. If the number is higher than this, you have a weak signal. If the number is higher, perform the steps below to help improve the signal strength on your phone. There are some basic things you can do to learn how to improve the signal strength on a BlackBerry Curve, such as making sure your BlackBerry is always fully charged. A fully charged battery will help you with a stronger signal on your phone. Try not to use your BlackBerry while you are around a lot of trees, and move to a clearer area. If the signal is really weak, you can use a Bluetooth device with your phone while holding the BlackBerry up high over your head. You can also call your cell phone provider if you are experiencing many dropped calls. Ask them what band coverage they use. For example, 800 megahertz (Mhz) band is better than 1,900 Mhz because the signal travels further. If your cell phone provider uses 1,900 Mhz, you will already have limitations set in place. Make sure you speak to the correct person who is knowedgeable in this area and can help you. You can purchase a cell phone repeater or amplifier to improve signal strength on your device. You need to purchase a repeater type cell phone booster, as it will work with smartphones. A signal booster will reduce the amount of dropped calls on your phone, and can extend cell phone range, so it's a great accessory for a BlackBerry Curve with signal issues. When you purchase a cell phone booster, you will have specific instructions on installation for the model you purchase. You should keep the correct distance between the transmitting antenna and the internal antenna. 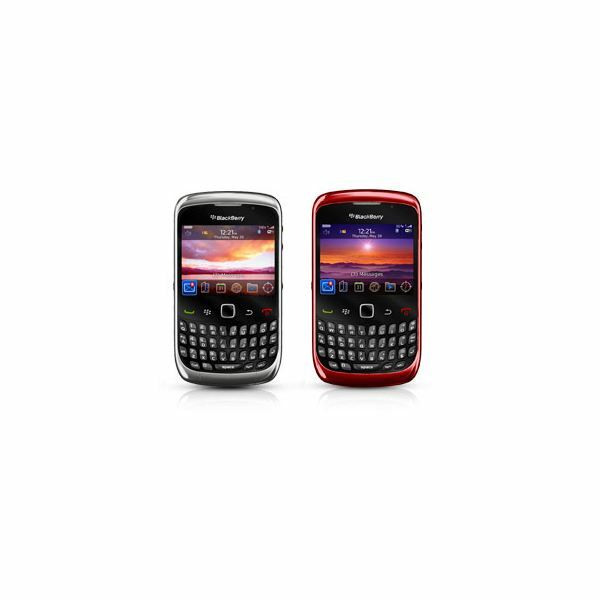 Purchase a cell phone booster for your BlackBerry Curve. You place the booster inside of the battery compartment of your phone. They work as an extra antenna for your phone, and can prevent dropped calls. You can purchase this at most retail stores or a cell phone dealer. As a last resort, you may need to switch cell phone carriers. If your carrier is set to 1,900 Mhz, change to a carrier who uses 800 Mhz band coverage. This will drastically improve your cell phone signal strength. You will need to call the different cell phone providers and ask to speak to a technician. The sales person may not know what band coverage they use. A technician will be more knowledgeable in this area. Weather can play a part in your cell phone signal strength. If it is a very hot day, you may have a decrease in your signal, versus a better strength when it is moist outside. Purchase a new antenna for your cell phone if it is an older phone. A new antenna will help increase signal strength. You can purchase this antenna at any cell phone retail store that sales BlackBerry Curves. If you use a case for your BlackBerry, make sure it is either plastic or rubber. If you use a metal case, the metal will cover the antenna and decrease your reception. Also, using a Bluetooth device will help as you will not be covering the antenna with your hands while holding the phone. To do a soft reset, press and hold ALT + CAP + Delete on your phone keypad. It will automatically restart. This will not result in any kind of data loss. To do a hard reset of your BlackBerry, remove the battery from the phone. Press the battery release button on the back of the phone and slide the battery cover off. Remove the battery and then reinsert it. Make sure the BlackBerry logo is facing up on the battery when you place it into the battery well, and make sure the metal contacts on the battery align with the metal contacts on the BlackBerry. Replace the battery cover. Your phone will automatically boot up. This will also not result in any kind of data loss. Check your signal strength to see if it has improved when your phone boots back up.